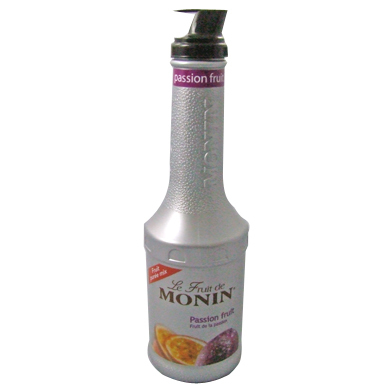 Nothing emulates a taste of the tropics quite like the exotic flavor of passion fruit. 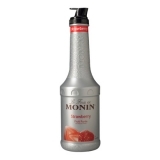 Our Monin passion fruit puree in a 1 litre plastic bottle will take your cocktails, lemonades, iced teas and smoothies on a trip to paradise too. Monin passion fruit puree is perfect for adding exotic, juicy tart passion fruit flavor to cocktails, lemonades, iced teas and smoothies. Aromatic, with sweet fruity notes reminiscent of mango; sweet and lightly tart tropical flavor similar to guava and mango. Sugar, water, concentrated passion fruit puree, natural flavour, thickening agent: pectin, acidifying agent: sodium citrate, preservative agents: potassium sorbate. Contains the equivalent of 50.1% of passion fruit.